I am a loyal FS customer because of the quality of service and customer support. They have earned it. If you are reading this and undecided about placing an order with FS, well fear not. You will be a happy customer too. My last order which arrived today, was for the LEE press ..
Lee Precision Pacesetter Die Sets include the Lee Factory Crimp Die that produces factory-like ammunition, with improved utility and accuracy. The die set also includes a Bullet Seating Die with finger adjustable seating depth and is tapered at the end for use with automatic bullet feeders. If you are reloading for more than one firearm or reloading cases that were fired in other firearms the Full Length Sizer Die is a must. 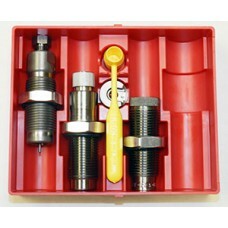 These 3-Die sets also include a Shell holder, Powder Dipper, Load Data and come in a durable storage box. Lee Precision .270 Winchester Short Magnum (WSM) Pacesetter 2-Die Set has the same features and qua.. The Lee Precision .30-30 Winchester Ackley Improved 40- Degree Shoulder PaceSetter 2-Die Set. 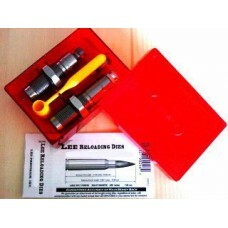 Ve..
Lee Precision .32-40 Winchester Center Fire (WCF) Pacesetter 2-Die Set has the same features and qua.. The Lee Precision .338-06 A-Square PaceSetter 2-Die Set. Very Limited Production. Includes a Ful.. The Lee Precision 6.5-.300 WSM (Winchester Short Magnum) PaceSetter 2-Die Set. Very Limited Produc..
Lee Precision 6.5 Carcano Pacesetter 2-Die Set has the same features and quality of Lee Precisio..
Lee Precision 6.5 Japanese Pacesetter 2-Die Set has the same features and quality of Lee Precisi..
Lee Precision 8mm Lebel Pacesetter 2-Die Set has the same features and quality of Lee Precision`..
Lee Precision PaceSetter 3-Die .223 Remington Set includes the exclusive Lee Factory Crimp die. 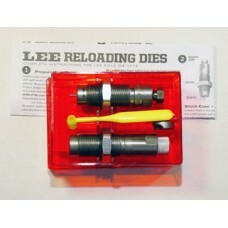 ..
Lee Precision PaceSetter 3-Die .300 Remington Ultra Magnum Set includes the exclusive Lee Fact..
Lee Precision PaceSetter 3-Die .338 Winchester Magnum Set includes the exclusive Lee Factory Cri..
Lee Precision PaceSetter 3-Die 6mm Remington Set includes the exclusive Lee Factory Crimp die. 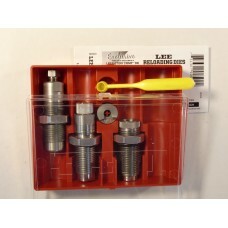 I..
Lee Precision PaceSetter 3-Die 7mm Remington Magnum Set includes the exclusive Lee Factory Crimp d.. 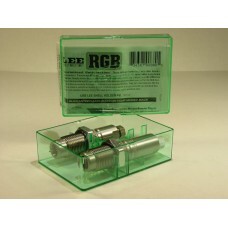 The Lee Precision 30/30 Winchester RGB (Really Great Buy) 2-Die Set is manufactured to the strictest.. The Lee Precision .303 British RGB (Really Great Buy) 2-Die Set is manufactured to the strictest tol..